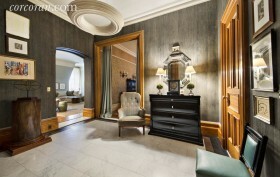 It’s hard to be disappointed by an apartment at The Dakota, the famed, historic cooperative off Central Park West. This one, now on the market for $5.85 million, lives up to its elegant address with interior features the include carved mahogany doors, wood-burning fireplaces, tin ceilings and a mural painted in the master bathroom. 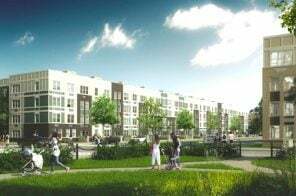 The highly refined spread covers 2,700 square feet–spacious enough for at least one baby grand piano–and includes three bedrooms and two bathrooms. 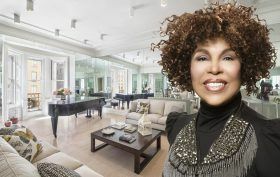 Roberta Flack’s co-op apartment with mirrored walls in the iconic Dakota has finally found a buyer, after being on and off the market since 2015. As the New York Post reported, the unidentified buyer plans to combine the four-time Grammy Award winner’s five-room pad with an adjacent apartment, which was allegedly the one-time home of Judy Garland. 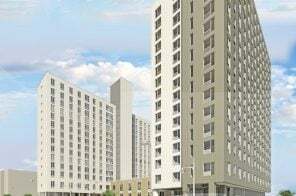 While the final sale price of the combined package is not known yet, it appears the merge will restore the exact floor plan of one of the Dakota’s 65 original units back when the building was finished in 1884. Flack’s apartment was last listed for $6.99 million and the co-op next-door was most recently listed for $10 million. Just listed at the venerable Dakota at 1 West 72nd Street–with over 85 feet of Central Park views–is an opportunity to combine two apartments and re-create the gilded-age grandeur of a front-facing corner residence. 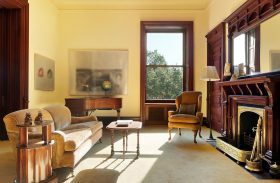 6sqft recently covered a beautifully-preserved eight-room co-op in the building, on the market for the first time in 50 years, asking $12.5 million. 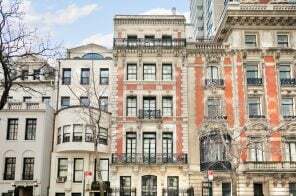 Now, the owners of that unit and the apartment next door are offering the rare pair for $20.5 million, in hopes that a deep-pocketed buyer will combine the two and enjoy the original 4,800 square-foot home as it was created in 1884 (h/t WSJ). For the first time in 50 years, an eight-room apartment in the Dakota, quite possibly the city’s most iconic apartment building, is for sale with an asking price of $12.5 million. Built in 1884, the fortress-looking building at 1 West 72nd Street on the Upper West Side has been home to many celebrities over the years, including Judy Garland, Roberta Flack, Yoko Ono, and many more A-listers. 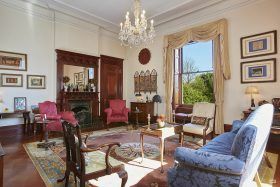 As Curbed learned, four of the rooms in the available unit directly face Central Park and boast wood-burning fireplaces and original mahogany pocket doors. 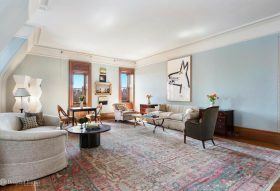 Since it arrived on the market in 2016 for $16.75 million, 6sqft has admired this three-bedroom co-op in the iconic Dakota for its history as the (alleged) onetime home of the equally iconic Judy Garland as well as for its colorful makeover by trendy young designer Sasha Bikoff. Now the apartment, which was owned by the designer’s late mother, former pianist, ballerina, and Studio 54 denizen Jacqueline Bikoff, has reportedly entered contract at its recent asking price of $10 million, according to Mansion Global. Bikoff bought the elegant Upper West Side pad in 2010 for $13 million from renowned bridge players Roy Welland and Christal Henner. 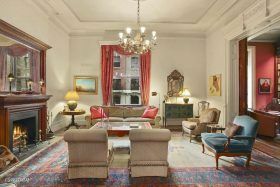 As 6sqft previously reported, Tribeca Film Festival co-founders (with Robert DeNiro) Jane Rosenthal and Craig Hatkoff have been trying to sell their sprawling pad in the storied Dakota since last March, when they listed the 7,500-square-foot combo of no less than four individual units for the suitably vast sum of $39 million. 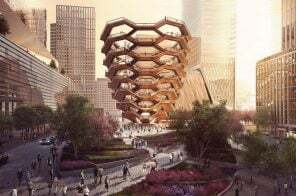 A year and some months later with no takers, the couple, who announced their divorce in 2014–have edited a cool $19 million out of the picture and are now asking $25 million (h/t Curbed). When this perfectly preserved residence at the Dakota hit the market in July 2015, it was asking $3.6 million, but after a price chop to $2.93 million, it’s found a buyer. 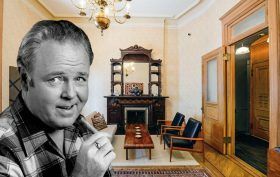 The Observer reports that the gorgeous co-op was home to actor Carroll O’Connor–Archie Bunker from “All in the Family”–until he passed away in 2001, from which point his wife Nancy Fields O’Connor maintained ownership until her death in 2014. The new owners paid $2.84 million for the two-bedroom home, which retains original historic details like “huge arched windows with marble sills and built-in shutters… blended patterned hardwood floors, extra tall solid wood doors with original fixtures and etched glass, distinct moldings and the original sunburst copper grills,” as 6sqft previously described. 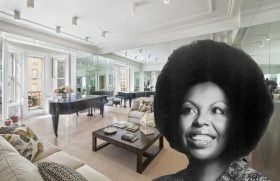 Roberta Flack first listed her Dakota apartment in June 2015 for $9.5 million, and it’s now come back on the market for $7.5 million with rare interior photos, reports LL NYC. We can’t imagine all those wall-to-wall mirrors will help her case, but it’s always a treat to get a look inside the storied address, especially when the unit is next door to none other than Yoko Ono. 6sqft has already covered the listing for this impeccable and impressive $16.7M apartment previously owned by the one and only Judy Garland, but now we’ve come across additional images offering a more detailed look into this space at the iconic Dakota. The home was designed by Sasha Bikoff, and from room to room the interior seamlessly combines a variety of patterns and pieces, spanning across design styles and movements without a hiccup. 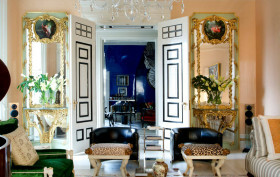 The color palette is simultaneously both bold and soft, and each room is packed full of unique design vignettes. Some big-time New Yorkers are selling their big-time pad at The Dakota, the most iconic cooperative in the Upper West Side. Jane Rosenthal and Craig Hatkoff, the couple that founded the Tribeca Film Festival with Robert De Niro, have just listed their sprawling five-bedroom apartment for no small sum—$39 million. The couple purchased the apartment more than 20 years ago, but announced their divorce in early 2014. Now, this very impressive home—actually an assemblage of four apartments covering over 7,500 square feet, with 165 feet of frontage along Central Park—is up for grabs.